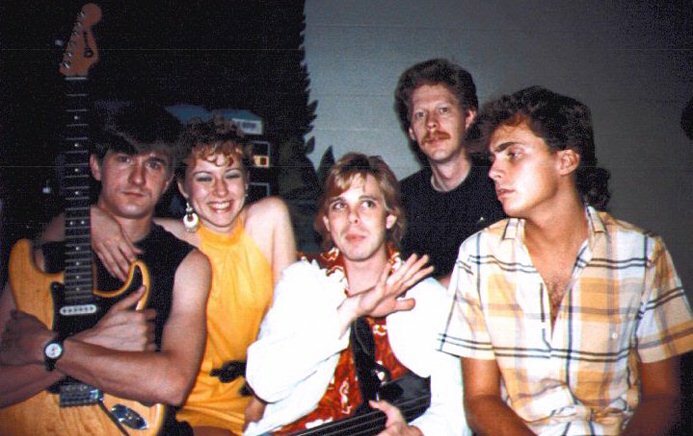 Plastic Age was formed when Robert Johnson moved to Gainesville and created a new musical sensation. 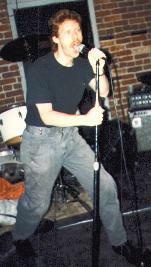 Within short order he'd recruited some local musicians and Plastic Age was born. 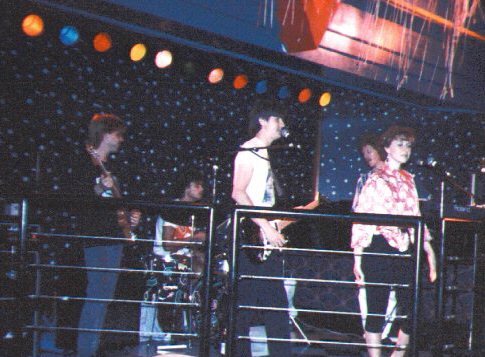 Plastic Age played all-original songs in the clubs of Gainesville for several years in the mid-80's and gave some very memorable performances. 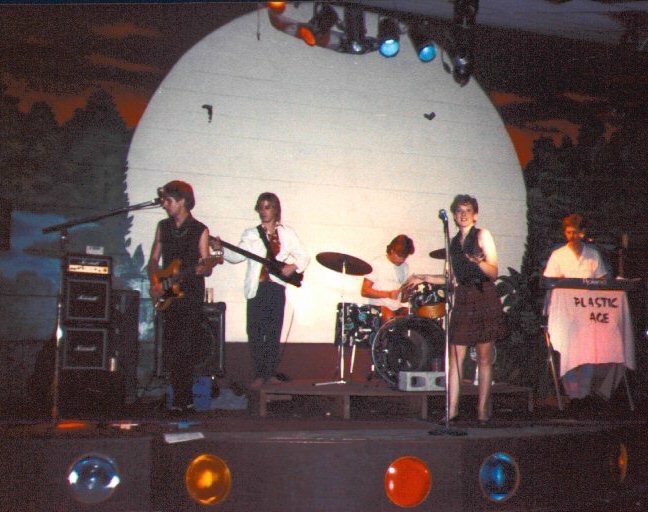 The band personnel remained virtually unchanged, save for a succession of bass players that came and went and sometimes came back again. 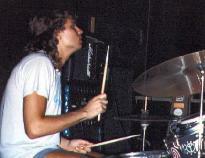 Their most notable - yet final- gig was on the Fourth of July, 1987 at the Downtown Plaza in Gainesville. They played for an appreciative audience of several hundred screaming fans. Well, maybe they weren't screaming, but there was a lot of them. 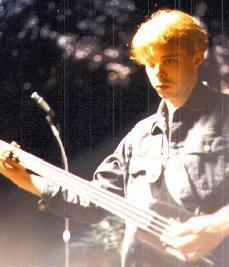 Doug Keesecker, infamous member of the Band of Fools also played bass intermittently with the band. Often imitated never duplicated, Ron could arguably be considered the sixth member of Plastic Age. He has always been there, giving his support and photographing the band. Here's an example of what the Wizard of Odd has been up to lately! Check out one of Ron's poems.